AMMAN - Asako Takakura, the first female coach of the Japan women’s national soccer team, said Thursday she does not want to jinx herself by speaking about the Women’s Asian Cup trophy before she gets a chance to lift it. In a news conference a day before Japan faces Australia in the final of the Asian Football Confederation’s showpiece tournament, Takakura said she would like to see her squad not only defend its title but come away with a satisfying win it can build on. “I’d be honored if I can lead them to the championship. I hope we end up with a result that allows the players to believe in themselves,” she said. 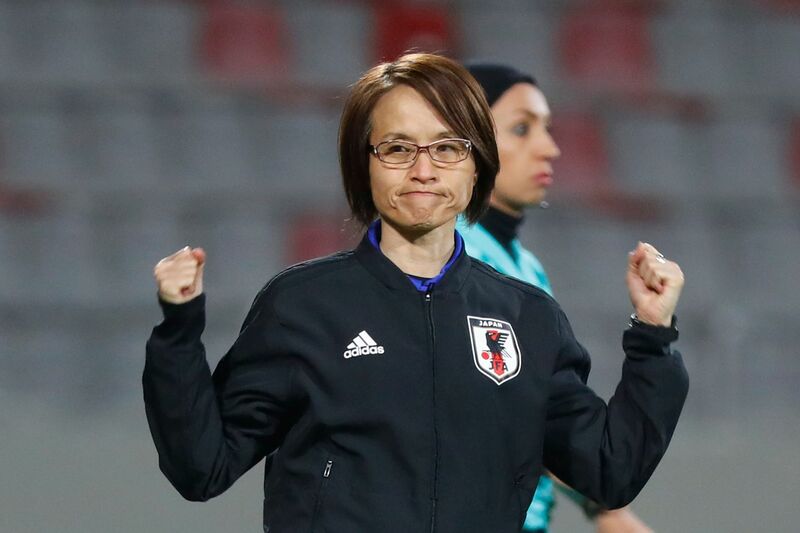 The championship game will be Takakura’s first since she replaced Norio Sasaki as Nadeshiko Japan coach in April 2016. 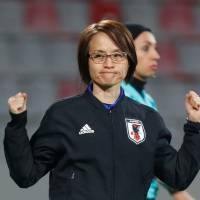 Despite the winner’s trophy sitting right in front of her during the media session, Takakura, a four-time AFC Female Coach of the Year, refused to share her thoughts on the coveted prize, saying she would like to save the fun for later. Friday’s title showdown at the Amman International Stadium in Jordan is a rematch of the 2014 final, when Japan edged the Matildas 1-0 in Vietnam for its first continental title.